Take part in a week-long swim retreat based at Nisbet Plantation Beach Club, learning how to become a more efficient swimmer with triple Olympians, Keri-anne Payne and David Carry. The retreat is perfect for swimmers of all abilities, from beginners who wish to learn how to swim front crawl to those who are more experienced and are looking to hone their skills in open water swimming. Taking place from 21 to 28 March 2018 and run by Triscape, this swimming package offers a unique opportunity to learn from world class swimmers in a luxurious setting on the Caribbean island of Nevis. Spend the week at Nisbet Plantation Beach Club where Olympic swimmers Keri-anne and David will coach you to have the confidence to take on any swimming challenge in the pool and in the sea. 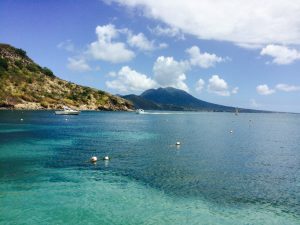 They will also lead you through some exciting adventures on this beautiful island, with the option to take part in the Nevis to St Kitts cross-channel swim on 25 March. 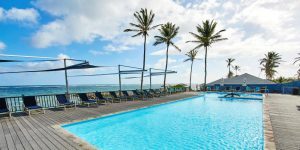 Guests will have plenty of free time during the week to spend with family, relaxing by the pool or getting out and exploring Nevis. Enjoy a 7 night holiday from £2575 per person including flights, transfers, bed & breakfast (plus one dinner) and the swim package. See below for full details of what’s included in the holiday. To discuss your holiday or to find out more, call our knowledgeable travel specialists on 01752 880880 or email [email protected]. The swim retreat is run by Keri-anne Payne, an Olympic silver medallist in open water swimming, and her husband David Carry, an Olympic finalist. The swimmers have represented Great Britain at three Olympic Games and now aim to inspire more people to swim by sharing their knowledge and experience. Costing £600 per person, the excellent-value package includes swimming sessions and talks to help you take on any challenge, such as the Nevis to St Kitts cross-channel swim which takes place during the retreat (more details below). 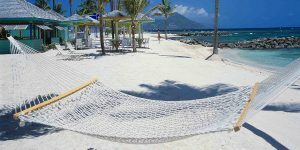 All activities are completely optional to allow you to enjoy your holiday and spend time relaxing on the beautiful island of Nevis. Participants will receive group coaching from Keri-anne and David, both in the swimming pool and in the sea, as well as a one-to-one session to work on skills individually. Optional beach workouts are an excellent way to start the day while two talks are also included to help guests prepare to take on their next swimming challenge, focusing on nutrition and planning. Guests can join the Triscape team on a sea safari adventure, exploring the island by sea for one final swim together with the chance to debrief and discuss experiences. UK based Triscape organise swimming retreats across the world and are promoting an initiative in Nevis which encourages locals to learn to swim. As many Nevisians don’t swim in the sea due to the salty water, visitors are asked to take a pair of swimming goggles to donate to the local community – together we can help the island learn how to swim! Nisbet Plantation Beach Club is an elegant hotel which is set within manicured lawns leading down to a white sand beach. The idyllic location is combined with a truly outstanding level of service, with friendly staff always on hand to cater to guests’ every need. Rooms and suites are located in cottages which are dotted around the hotel’s grounds, each with a separate sitting area and private terrace. The cuisine at the hotel matches the high standards of service, with casual and fine dining options including the elegant Great House and the laidback beach bar. Nevis is a stunning island with charming and friendly locals, offering an authentic taste of the Caribbean. There is plenty to occupy guests looking to be active, from scuba diving to horse riding and rainforest hikes. Every aspect of the itinerary below is completely optional. There is plenty of free time for guests to spend with family, relaxing by the pool or exploring the beautiful island of Nevis. All guests at the hotel have the option to start each day with an optional, yoga-inspired beach workout before breakfast. Start your swim retreat before you even leave the country, thanks to a phone call with Keri-anne to build your perfect retreat. 10.05: Depart London Gatwick on the British Airways flight to St Kitts. 16.35: Arrive in St Kitts where you will be met by a representative from Nisbet Plantation Beach Club who will transport you to the ferry dock. The crossing to Nevis is a short and scenic journey that takes under 10 minutes, followed by a short taxi ride to the hotel. You will arrive at the hotel within one hour of leaving St Kitts airport. 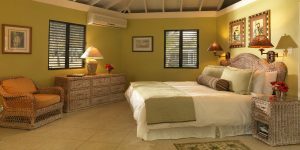 Once at Nisbet Plantation Beach Club, you will have time to settle into your room before attending a Champion’s Dinner in the Great House Restaurant. Meet Keri-anne and David, who will share the highs, lows and challenges of their 3 Olympic Games. 09.00 – 10.30: Pool session with David and Keri-anne focusing on straight-line swimming fundamental breathing & body position. 14.00 – 15.00: Performance nutrition talk with Keri-anne, offering an insight into training and event day nutrition. 16.00 – 17.00: Open water skills session with Keri-anne focusing on sighting and pack swimming. 09.00 – 10.30: Pool session with David and Keri-anne focusing on straight-line swimming fundamental propulsion. 16.00 – 17.00: Open water skills session with Keri-anne, focusing on buoy turns. Take part in a one-to-one coaching session with Keri-anne and David at some point during the day. Nevis to St Kitts cross-channel swim. For those choosing to take part, The cross-channel swim starts at 8am on Oualie Beach and concludes with a post-swim breakfast on St Kitts. Return to Nisbet Plantation early afternoon and relax for the rest of the day. Spend the whole day at leisure – this is the perfect time to take part in an extra one-to-one swimming lesson with Keri-anne and David where you can work on perfecting your new skills (£175 per session). 14.00 – 16.00: Take part in a sea swim safari to discover the marine life around the island and discuss your experiences with other guests. 09.00 – 10.00: Performance planning talk with David. Mid afternoon: Travel to St Kitts airport. 17.10: Depart on the British Airways flight to London Gatwick. 07.45: Arrive at London Gatwick. After returning to the UK, end your swim retreat with a phone call from Keri-anne to ensure you are able to use your new skills in the future. Triscape goodie bag including T-shirt, cap, Zone3 Buoy and other partner products. Entry to the Nevis to St Kitts cross-channel swim costing from $85. Prices are based on two sharing a room. If only one occupant of a room is participating in the swim retreat, the price for the other occupant will be from £2070 (bed & breakfast plus one dinner). It is possible to upgrade your room, flights or board basis – contact us for single supplements and upgrade costs. Discover more of Nevis by staying longer – ask our travel specialists for a tailor-made quotation. 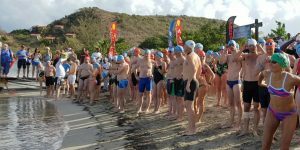 If you’d like to challenge yourself and test your new found skills, Nevis has the perfect challenge for you – the world famous Nevis to St Kitts cross-channel swim. The swim takes place on Sunday 25 March 2018 and is an excellent challenge for open water swimmers of all abilities. 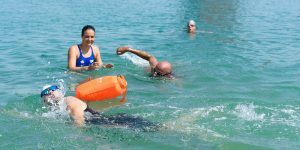 There are usually over 200 participants, with prizes for the top finishers in all age categories covering swimmers from under 15 to over 70 years old. An ‘assisted’ category allows less confident swimmers to take part with a snorkel and flippers. Rescue boats are always close by. 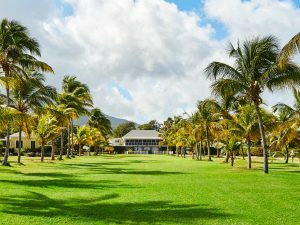 Covering a distance of 2.5 miles (4 km), the race starts from Oualie Beach on Nevis and crosses the ‘Narrows’ to finish at Cockleshell Beach on St Kitts. Some of the world’s best open water swimmers have taken part in the race, with the course record being held by Olympian Ashley Whitney who finished in just over 55 minutes. Those entering the race receive a T-shirt, finisher’s medal, swim cap, breakfast party on St Kitts after the swim and transportation back to Nevis. Entry to the swim costs from $85 – book early for the lowest prices. See www.nevistostkittscrosschannelswim.com for more details. Prices above are a guide only (updated 2 February 2018) – actual prices vary greatly depending on flight costs on the day of quoting. Contact us for a tailor made quotation based on your specific dates of travel and room type required. To discuss your holiday to Nevis, call our knowledgeable travel specialists on 01752 880 880 or email [email protected]. Tropic Breeze offers fully bonded and protected holidays, whether booked with flights via our ATOL 5615 or for accommodation only holidays with our ABTA Y5401. This means you can rest assured that your Tropic Breeze holiday is safe and secure.